1. 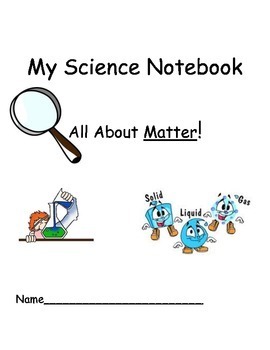 Drawing/identifying properties of matter. 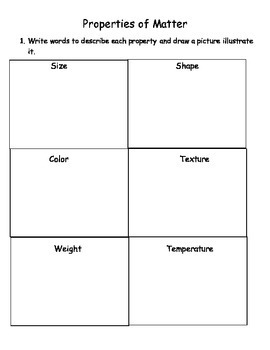 2.Sorting and record objects based upon properties. 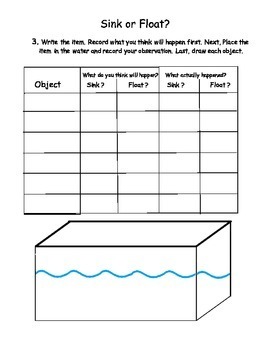 3.Sink or float: predict and record objects. 7. Gas experiment: record observations of balloon blowing up. 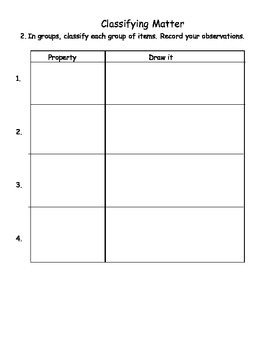 Also, included is a detailed description of how each activity can be done.